Mfuwe Lodge is situated in the South Luangwa National Park in Zambia overlooking a lagoon and offering magnificent views. 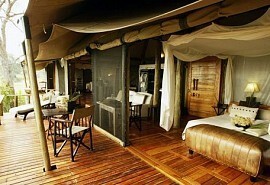 Mfuwe Lodge offers luxury and comfort combined with superb service and incredible game viewing opportunities. 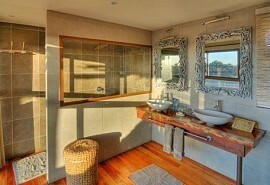 Mfuwe Lodge offers luxury en-suite chalets with private viewing decks as well as a variety of wildlife activities including day and night game drives and walking safaris accompanied by an experienced and knowledgeable guide. Guests can also track animals on foot with an armed scout. 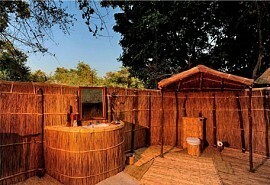 Mfuwe Lodge offers peace and tranquility therefore none of the rooms are equipped with televisions, radios or telephones, these services are only available at reception. 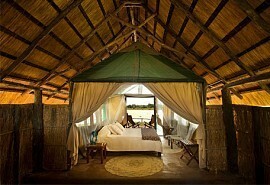 Award-winning safari lodge set in the most prolific game area of the South Luangwa. Situated close to the main gate makes it a busier part of the park, but is one of the smartest and most modern. In November the local elephants regularly wander right through the lobby, lured by a nearby wild mango tree. Mfuwe Lodge is one of the few places in the South Luangwa National Park in Zambia that remains open during the Green Season which attracts Wild Dogs as well as many species of migrating African and European birds. 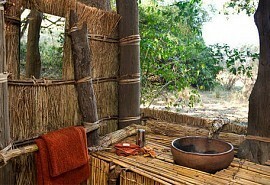 The South Luangwa National Park is one of Africa's finest wildlife sanctuaries. 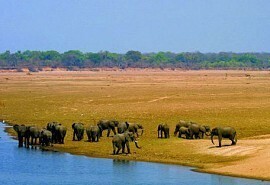 The Luangwa Valley offers extraordinary wildlife and birdlife and the highest concentration of wildlife in the park is found around the Luangwa River with its rich vegetation. 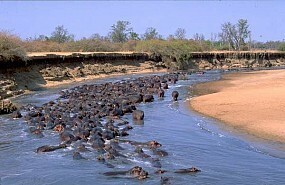 Wildlife includes huge herds of elephants, buffalo and hippo. Sightings of lion and leopard are common. Night drives are one of the highlights of the Luangwa Valley, providing the opportunity of seeing nocturnal animals, particularly leopard. Hyenas are fairly common. 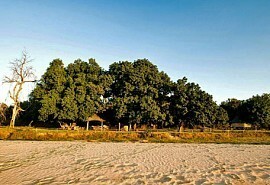 The Luangwa River also has a high number of crocodiles. The Park's dominant antelope species are impala and puku, with other antelope seen including the common waterbuck, bushbuck, eland, kudu, grysbok, oribi, reedbuck, Lichtenstein's hartebeest, sable and roan. Unique species such as Thornicroft's giraffe and Cookson's wildebeest can also be seen. South Luangwa National Park is a bird watcher's paradise with over 400 hundred species of birds recorded in the Luangwa.